Okay, so I'm pretty excited right now. I think I may have just broken through a brick wall! I'm (still) working on the Mahl branch of my tree because Johann & Katharina had a crapton of kids who then in turn had a crapton of kids. But on a lark I wanted to see if I could find his parents. 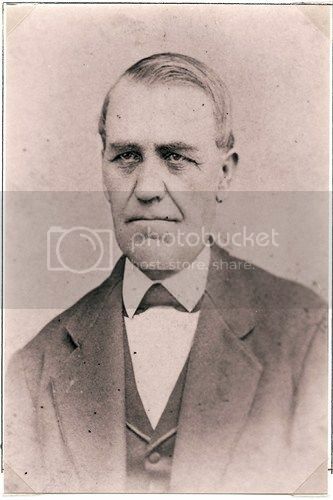 Johann (John) Daniel Mahl was born on August 28, 1826 according to his FindAGrave page. He married Katharina (Katharine) Imm and they had 12 kids: John Adam, Jacob, Adam, Daniel (see last week), Catherine, Frank, Michael, Adelia, Mary, Henry, Louise & Joseph. 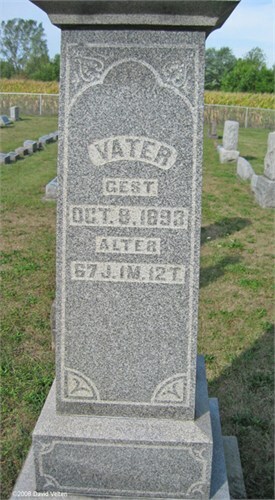 Johann died October 8, 1893. ANYWAYS. I found this tonight. 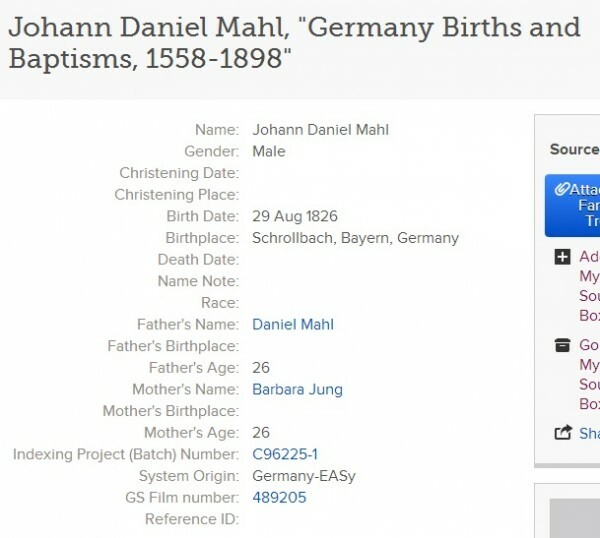 I'm relatively convinced that the Johann Daniel Mahl in this birth record is my Johann Daniel Mahl even though the birthday is one day off. Which means I've finally broken down the Germany wall on this side of my family! Those are his parents!!! Excuse me while I relish this genealogy high a little longer. I've requested copies of document, so I have more than just the FamilySearch screenshot... but it'll be 4-6 weeks. STILL. SO HAPPY RIGHT NOW. Because this is making me post as anonymous and I wanted to congratulate you as me.